If you have any questions about the VISIONE information page below please contact us. 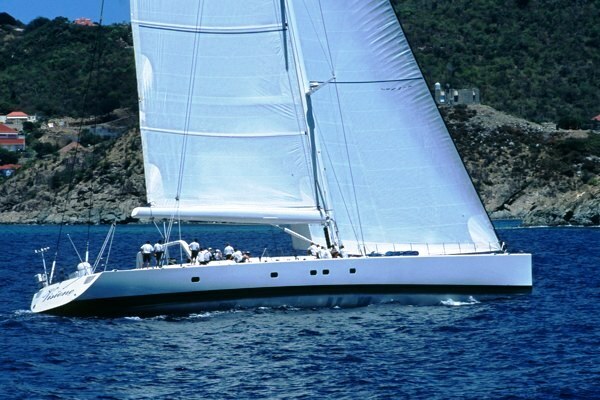 This generous luxury yacht VISIONE is a sailing yacht. 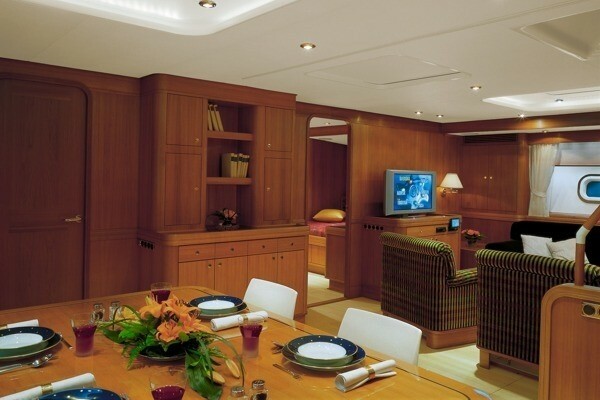 This 45 metre (147 foot) luxury yacht was built at Baltic Yachts in 2002. Superyacht VISIONE is a stately yacht that can sleep as many as 10 passengers on board and has a total of 5 crew. Ready for launch for 2002 her reasonably recent interior decoration reflects the stature emanating from the boards of R & J Design/Design Unlimited. 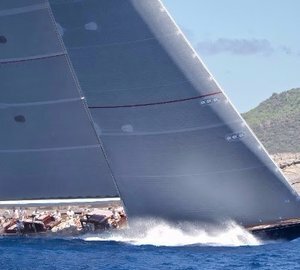 Sailing yacht VISIONE won the Superyacht Cup Antigua 2010. 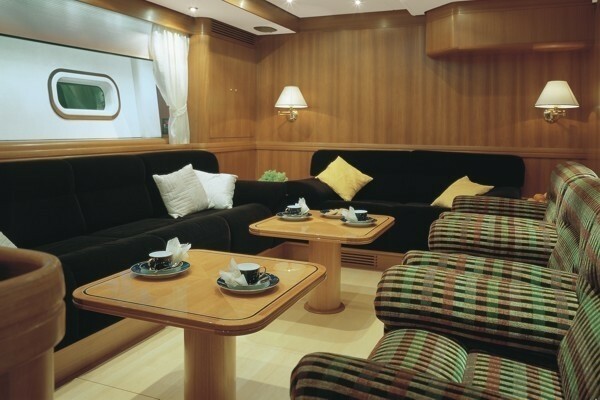 The yacht's wider design collaboration came from Reichel-Pugh. The technical naval architect intellectual property are a creation of Reichel-Pugh. Sailing Yacht VISIONE received her elegant interior designing from the interior design skills of R & J Design/Design Unlimited. 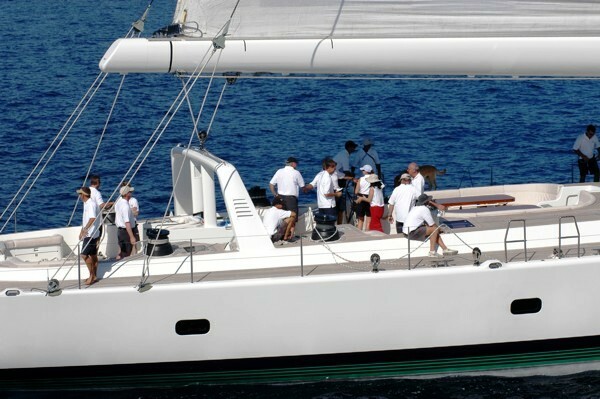 Finland is the country that Baltic Yachts constructed their new build sailing yacht in. After her formal launch in 2002 in Bosund the boat was released to the owner after final finishing. Her hull was constructed with wooden/GRP composite. The sailing yacht main superstructure is fabricated mostly with composite. 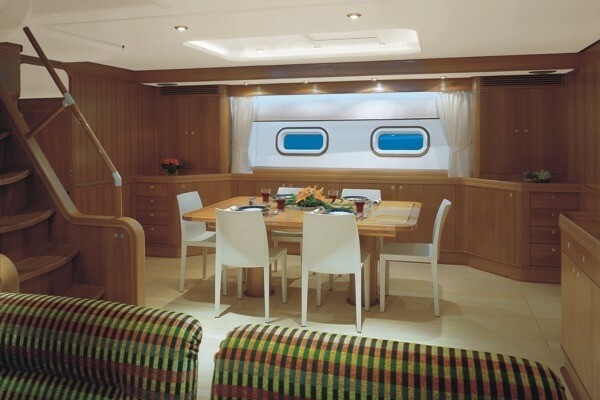 With a beam of 8.28 metres / 27.2 feet VISIONE has spacious internal space. A fairly 6.8 (22.3 ft) draught of 6.8m (22.3ft) selects the list of certain ports she can enter, depending on their individual depth. She had refit improvement and modification undertaken by 2007. This ship is powered with a sole capable CATERPILLAR diesel engine(s) and can accelerate to a comparatively good maximum limit continuous speed of 15 knots. The engine of the ship produces 700 horse power (or 515 kilowatts). Her total HP is 700 HP and her total Kilowatts are 515. For propulsion VISIONE has a single screw propeller. Concerning thrusters she was built with Maxpower / Stern: Maxpower. 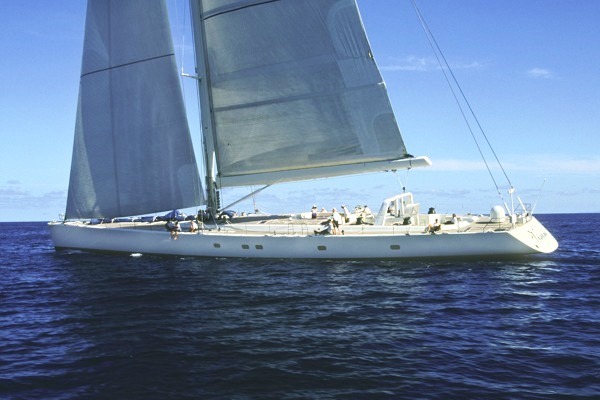 This yacht’s impressive cruising speed is 12 knots which offers a range of 1300. 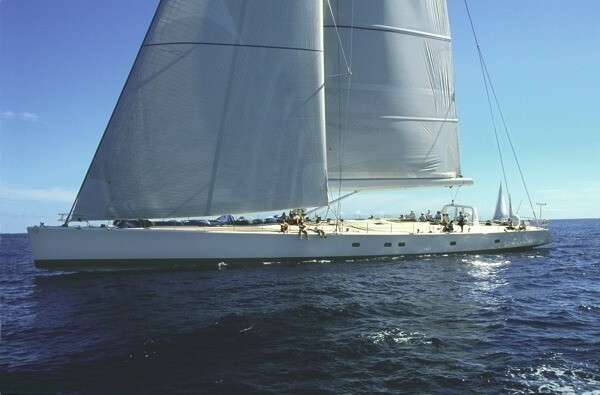 The generous luxury yacht sailing yacht VISIONE can sleep a total of 10 people and has 5 qualified crew. 44.84 metres / 147.1 feet. 1300 at a speed of 12 knots. Northern Lights 2 times 33 kilowatts. On Sept 2009 VISIONE cruised Palma, in Spain. VISIONE has navigated the cruising ground near Illes Balears during the month of Sept 2009. She has a teak deck. The luxury yacht VISIONE displayed on this page is merely informational and she is not necessarily available for yacht charter or for sale, nor is she represented or marketed in anyway by CharterWorld. This web page and the superyacht information contained herein is not contractual. All yacht specifications and informations are displayed in good faith but CharterWorld does not warrant or assume any legal liability or responsibility for the current accuracy, completeness, validity, or usefulness of any superyacht information and/or images displayed. All boat information is subject to change without prior notice and may not be current.